Our offices are located at 1694 Westbrook Ave, Burlington, NC. We assists clients in the areas of business law and commercial transactions, commercial and residential real estate and related litigation, estate and succession planning and administration, and domestic and family law. Your interest in Pittman & Steele, PLLC is appreciated. Before we can represent any party we need to be certain that the representation will not create a conflict of interest. When you call us regarding a new matter, please have available as much information as possible regarding the persons or entities who are on the other side of your transaction or dispute. Our practice is to search these names to make certain that we do not currently represent the party or parties adverse to you or, if we have represented them in the past, that our prior representation does not give rise to any conflict of interest. Once we have determined that there is no conflict of interest we can then schedule a meeting with the appropriate attorney in our office. Our normal practice with regard to simple consultations is to charge a fee of $100.00 for a thirty (30) minute consultation and the attorney’s customary hourly rate thereafter. This practice may vary depending on the matter. 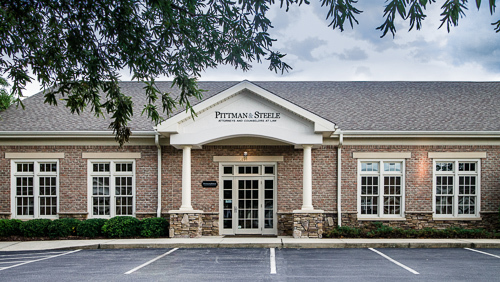 Your interest in Pittman & Steele, PLLC is sincerely appreciated. Please note that we cannot represent you, nor can we treat unsolicited information as confidential, until we know that doing so will not create a conflict of interest and we have agreed to represent you as a client.